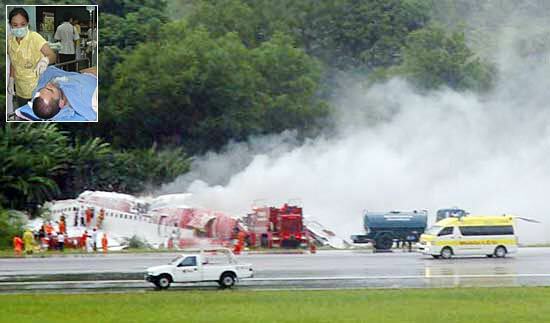 A passenger plane filled with foreign tourists crashed Sunday in Phuket, killing at least 74 people. The plane crashed as it was trying to land in pouring rain. The budget One-Two-Go Airlines domestic flight was carrying 123 passengers and seven crew members. Authorities said at least 74 had died and 42 people were hospitalized, while 14 passengers were missing. "The visibility was poor as the pilot attempted to land. He decided to make a go-around but the plane lost balance and crashed," said Chaisak Angsuwan, director general of the Air Transport Authority of Thailand. "It was torn into two parts." Twenty-four of the 32 passengers hospitalized there were foreigners and included Britons, Germans, Iranians, Israelis and at least one Australian, Irish and Canadian passenger.